Your child’s first experience with preschool is always going to be a step into the unknown for them, but it doesn’t have to be for you, especially if you’ve just moved to the US from another country. Gaining an insight into a completely new education system can be difficult and daunting for expats who might not yet have friends with kids or people they can ask for advice. 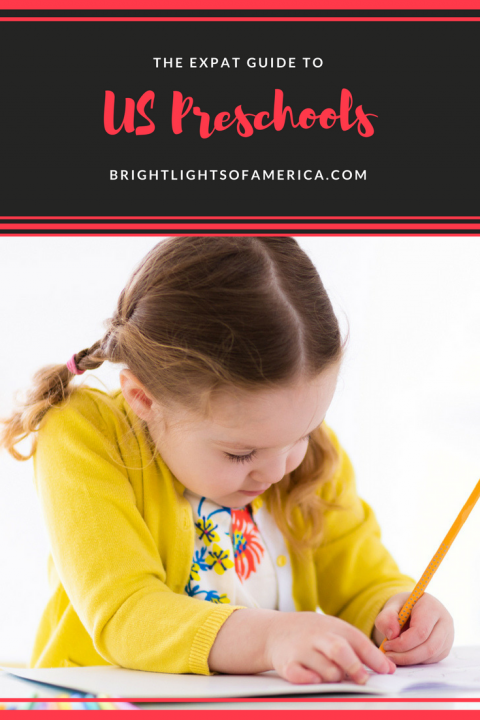 Here’s the Bright Lights of America guide to Preschool in the US – what to expect, the types of schools you can enroll your child in and what the schools expect from you. This is a great place to share your experiences with other parents to save them a few headaches, so please feel free to comment with any tips or pitfalls you noticed! Age: Preschool is typically geared towards children aged 3 to 5, while Daycare centres will vary though they generally accept infants to 5-year-olds. Hours and Holidays:Preschools tend to mimic the regular US schooling year, which means they’ll generally be closed for public holidays, over the summer and other school breaks. School holidays can differ from state to state, so it’s best to check with your state’s Education Department. It’s worth noting that some Preschools will offer “summer camp” (not to be confused with a sleep-over camp), or other extended care options. Daycare centres need to cater to the schedules of working parents so they will be more flexible in terms of providing care early and late in the day, and during public and school holidays. Curriculum: Both Daycare centres and Preschools need to meet the same benchmarks to gain a license. So the choice really comes down to whether you like the sound of the individual schools’ programs and philosophies. Ask for examples of a normal day’s activities to get an idea of what your child will experience. Look for schools that set aside time for physical activity, socialising, free play time, story time or quiet time and crafts. 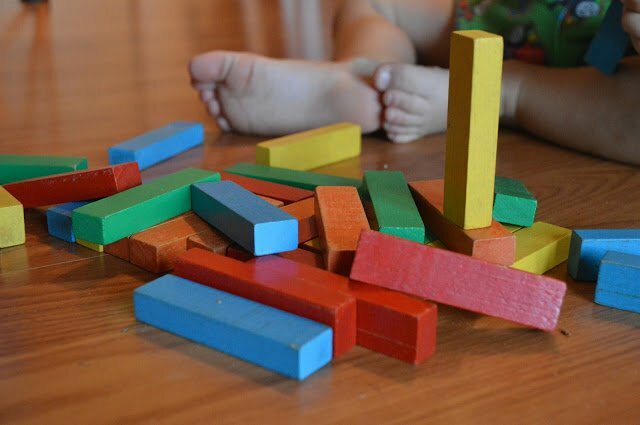 This article focuses on preschool enrollment so we’ll leave daycare now. Sit down and think about what your needs are. What’s important to you? 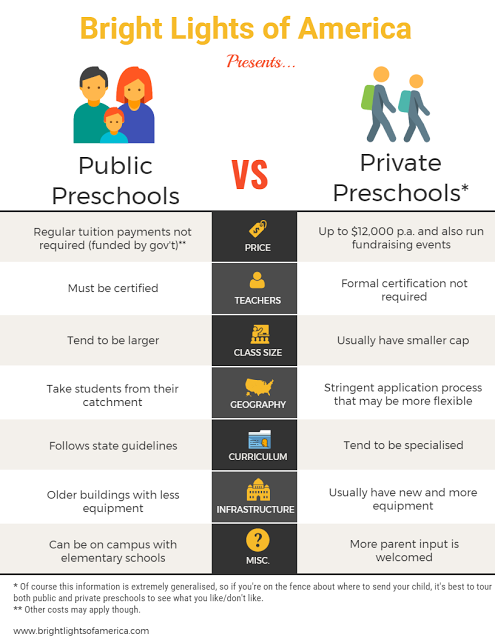 : Do you want to send your child to a public preschool or a private one? Are you more comfortable with religious preschools? What’s your budget and how many days a week would you like your child to attend? Do you have your heart set on a certain elementary school? You might want to find out if they favour specific “feeder” preschools when considering enrollments. Childcare Aware hotline: (800) 424-2246, to ask questions about your individual situation. Great Schools website: Lists preschools along with reviews and star ratings. National Association of Family Child Care: A database of accredited preschools. Your Community: Don’t be afraid to reach out to your online, church or neighbourhood communities to ask for advice. When to apply: It’s a good idea to start the process a year before your child is ready to start preschool. Most schools begin their tour schedule in September and will require you to sign up for tours in advance. If you’re interested, get the application in by December, although some preschools still accept them in January and February. You should find out if your child’s been accepted by April. Be sure to ask the individual schools about their deadlines. Fees: There are fees for everything and anything so it should come as no surprise that preschools charge an application fee. They are usually non-transferable and non-refundable. Keep this in mind as you’re researching and taking tours. You don’t want to apply to too many schools, especially ones you’re not so keen on. Those fees stack up. Tour Time: Once you have a short list of US preschools that you’re happy with, it’s time to make contact. Call each one and ask about fees and schedules. Some schools might have an information pack that they can send out to you that will include their teaching philosophy. Nothing can replace a visit to the preschool though. Schedule a time to visit and take your child with you so that they can get a feel for the place as well. Think about the questions you want answered, and take note of the number of kids per teacher and whether they’re engaged with the activities. Obviously, kids have off-days but you’ll quickly notice if they are all disinterested. Waiting Lists:Maybe your dream preschool doesn’t have any spots left. It doesn’t hurt to get on the waiting list and while you’re at it, make yourself stand out from the crowd. Write a letter to the director/principal spelling out why you want your child to attend their school and what you like about it. They don’t just want to educate your child. They may also want you to help out with excursions, activities or fund raising. Be sure to ask about this on your tour. Of course they’re looking to build their own little community of parents who get along support the school. 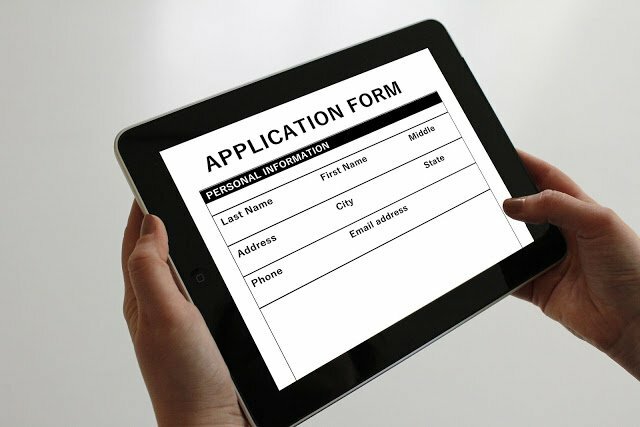 This is where a little letter in your application won’t go astray. If you know parents who’ve had kids at the school previously, get them to write you a recommendation. And if you’re happy with the preschool, stay in touch with them after the tour to let them know how interested you are. National Association of Family Child Care: Guidelines and a database of accredited preschools.